Character - Scavenger. Points: 7/10. Health: 7. 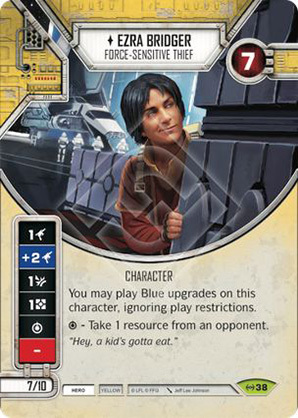 You may play Blue upgrades on this character, ignoring play restrictions. - Take 1 resource from an opponent. "Hey, a kid's gotta eat."